From your fizzy soda and refreshing beer to an assortment of crunchy nuts and delicious baked beans – the humble can has been used to package edible items for time immemorial, mainly due to its ability to retain their freshness, flavor and nutrition. You see these cans everywhere – in supermarkets, on food carts, in gourmet shops, at pet stores and even gas stations – attracting customers with their glitzy covers and tasty treats. From there, they travel to our kitchen pantry and sit in our refrigerators. Unfortunately, this is where the humble can’s dream run ends and its story takes an unfortunate turn. Once emptied of its contents, the can ceases to be of any use (or so we think) and in most cases, is flattened before being thrown into the trash bin. But do you think that’s the only end possible? Do you think that’s the end it deserves? Do you think the humble can can have a better end to its story? Can the Can be Recycled? Here’s an interesting fact that you probably didn’t know. The steel can was invented in the year 1810 to feed Napoleon’s Army. 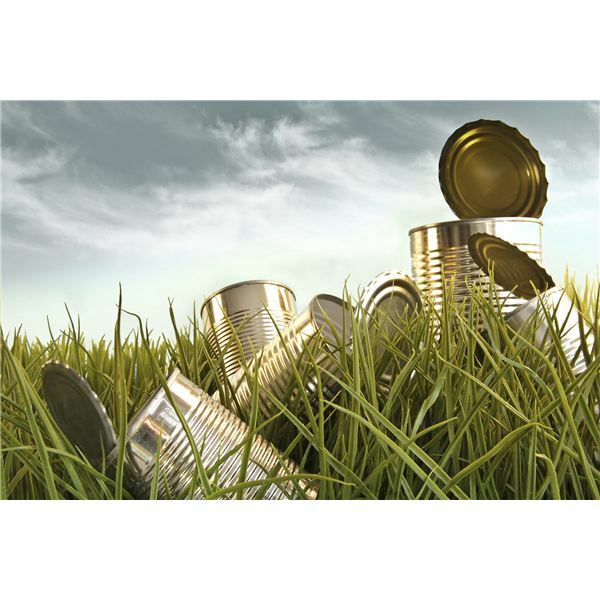 What’s more interesting to note is that steel cans are a 100 percent recyclable, which means they can be recycled over and over and over again. The other most commonly used material for making cans is aluminum. Discovered in 1820, aluminum is one of the most sustainable and abundant metals on the planet. Interestingly, even aluminum is 100 percent recyclable. There is no limit to the number of times that this metal can be recycled. In fact, nearly 75 percent of all aluminum ever produced from the time it was discovered until today is still in use, as per the information available on the website of the Can Manufacturers Institute. I think that answers the question whether or not it’s possible to recycle cans. If you’re wondering why you should take the trouble of cleaning your food and beverage cans, separating them from the rest of your trash, and sending them for recycling when you can just flatten them out with one quick stomp of your foot, I’ll give you plenty of reasons. First of all, by recycling your aluminum cans, you’ll be preventing them from going into landfills. 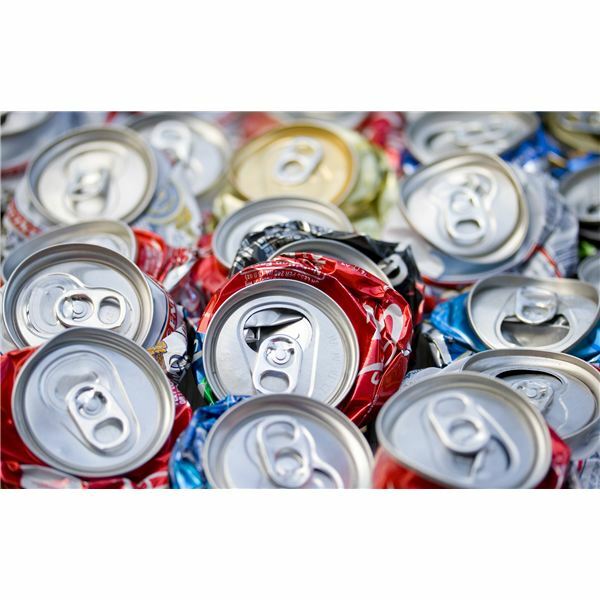 According to the Aluminum Association, more than 100 million aluminum beverage cans are sent to landfills, littered, or incinerated in the U.S. everyday. You may know landfills are designated areas where household and industrial trash is buried. What you may not know is that the trash buried in landfills takes hundreds and sometimes thousands of years to bio-degrade in the natural environment and releases harmful toxins into our soil and ground water. Second, recycling aluminum and steel cans saves precious natural resources and energy in addition to reducing greenhouse gas emissions. Let me share some facts to corroborate my point. According to the Institute of Scrap Recycling Industry, recycling one ton of steel conserves 2,500 lbs. of iron ore, 1,400 lbs. of coal and 120 lbs. of limestone whereas recycling the same volume of aluminum conserves more than 5 metric tons of bauxite ore and 14 megawatt hours of electricity. Additionally, making new aluminum cans from used cans takes 95 percent less energy than using virgin materials, while recycling 10 tons of aluminum helps avoid 71.1 tons of greenhouse gas emissions. And finally, if you thought your empty cans are just worthless garbage, think again. Each empty aluminum can is worth about one cent. In fact, aluminum is one of the most valuable recyclable materials sought by private junkyards as well as niche recyclers like SIMS Metal Management who’ll buy them from you, process them, and sell them as recycled feedstock to manufacturers. Once recycled, it takes only 60 days for aluminum can to return to the store shelves and start vying for your attention again. Now don’t you think that’s a much better end to our can story?